Expanding on a four-decade existing visa system, India and Pakistan today announced a liberal regime that envisages easier group and business travel, visa on arrival for senior citizens and flexible travel mode. Islamabad also expressed keen desire to have Prime Minister Manmohan Singh visit the country. 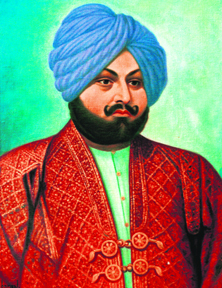 Along with millions of readers and admirers, The Tribune pays homage to its founder, Sardar Dyal Singh Majithia, who passed into eternity on this day 114 years ago. Prime Minister Manmohan Singh on Saturday flagged concerns on the continued vulnerability of the sea route by terrorists to enter the country, the ability of Naxals to grow in number, the erosion of inter-community relations, increased infiltration attempts in Jammu and Kashmir and the use of social media by miscreants to drive a schism between communities. Senior Congress leaders Jagdish Tytler and Niranjan Patnaik were today booked by the police for a clash between party supporters and policemen. The clash, that broke out during the course of a rally on September 6, allegedly left over 260 persons injured here. As monsoon prepares to beat a retreat this month, it appears to have not fared so badly, at least in terms of statistics. The nationwide deficiency has dropped to 10 per cent and may go down further in the coming week. This will help the Indian Meteorological Department (IMD) present the 2012 seasonal rains with a �normal� tag. A special police official (SPO) was killed and a Territorial Army (TA) personnel critically injured in a suspected militant attack on the outskirts of Sopore town today. Struggling national carrier Air India�s four-year wait for the Boeing 787 Dreamliner finally ended today with the touchdown of the first of these long-haul planes at Delhi�s Indira Gandhi International Airport.